Voices for Children CASA (Court Appointed Special Advocates) is a nonprofit organization with the mission to train, match and support community volunteers or CASAs to be a voice for our most vulnerable citizens-child victims of physical, sexual or emotional abuse and neglect. CASA volunteers are appointed by judges to advocate for the best interests of these children during court proceedings. Registration opens March 1st. 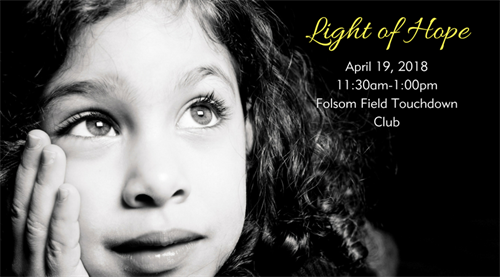 Please visit vfccasa.org/loh to register.